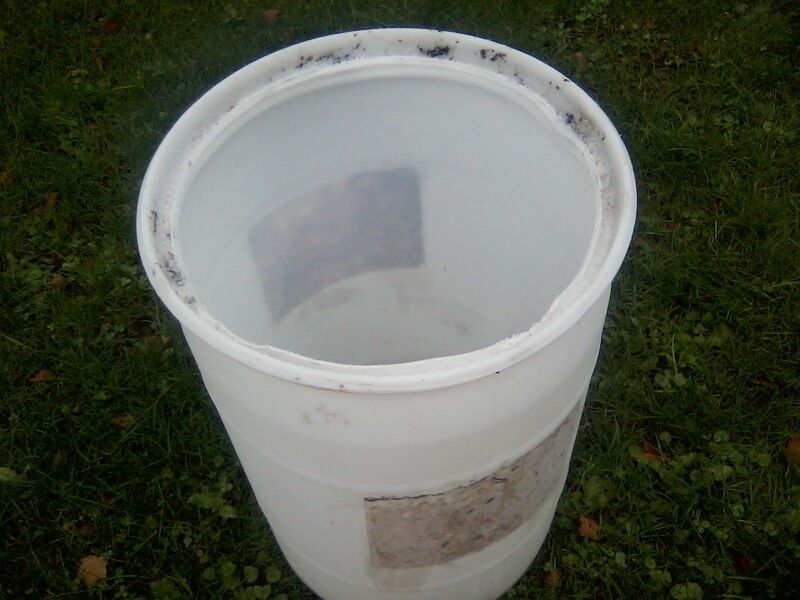 Ive been procrastinating long enough about building myself a live well and some bait traps. So today I started off with working on the live well. 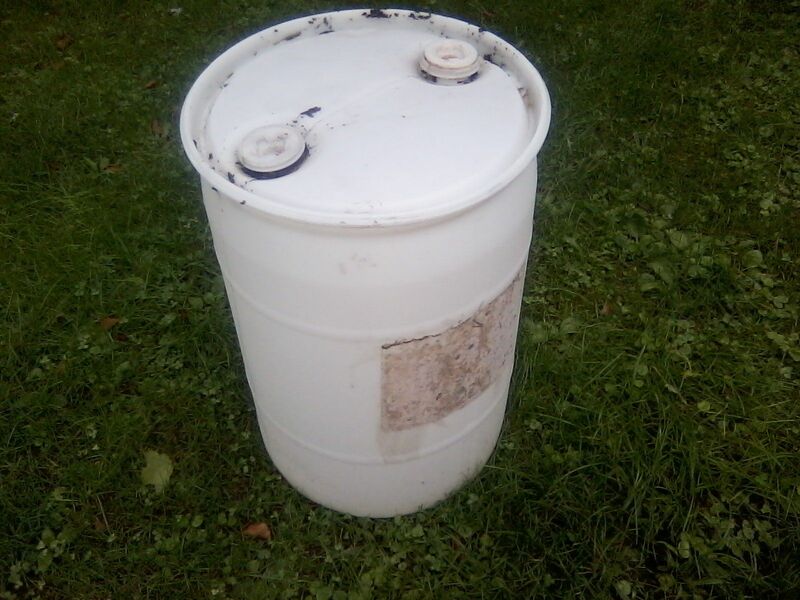 I just took a 35 gallon barrel and cut the top off. I made sure to leave the ridge on at the top because this makes it more durable and prevents the barrel from loosing its shape over time. I then drilled 2 holes about 6 inches down from the top and about 9 inches apart. for the air hoses. Along the ridge of the barrel I cut out a little slot about an inch long and 1/2 inch wide to hang my 2-1/2 Way Gang Valve ($4.48). 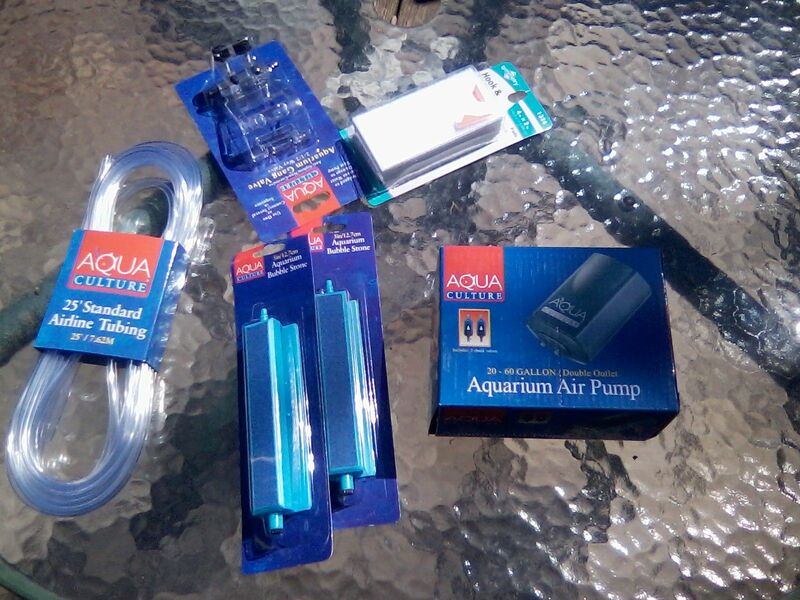 For the pump I used a Aqua Culture 20-60 Gallon Aquarium Air Pump ($10.57). I picked this pump because it was rated for 30 to 60 gallon tanks and has a double air outlet. Luckily this pump had a loop at the top that I used to bolt the pump on the side of the barrel. I ran 2 air lines ( 25 feet for $3.12) from the pump to check valves and then up to the gang valve. ( I had to drill a hole in the middle of the valve and run a bolt through to make it more sturdy.) I then ran a line to each off the Aqua Culture Bubble Aquarium Stones ($1.78). 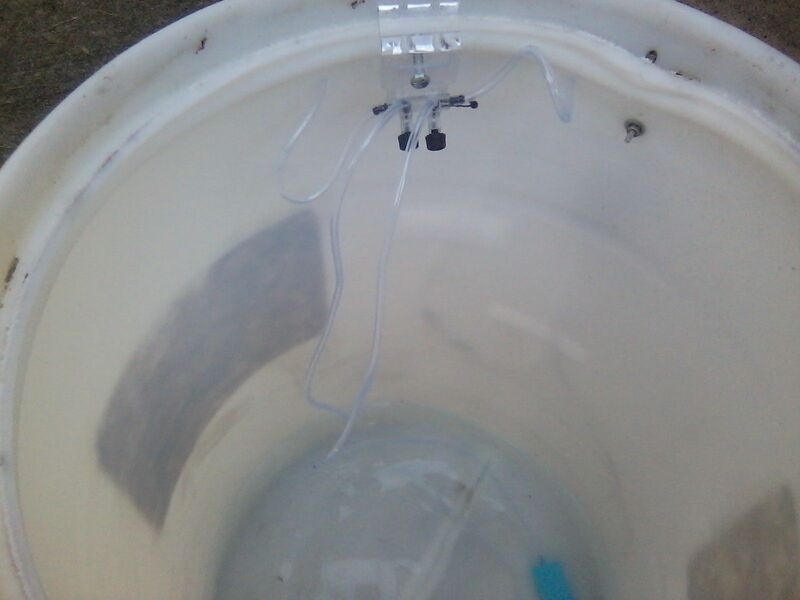 I then used Velcro strips ($1.00) to attach the air lines to the side of the barrel. 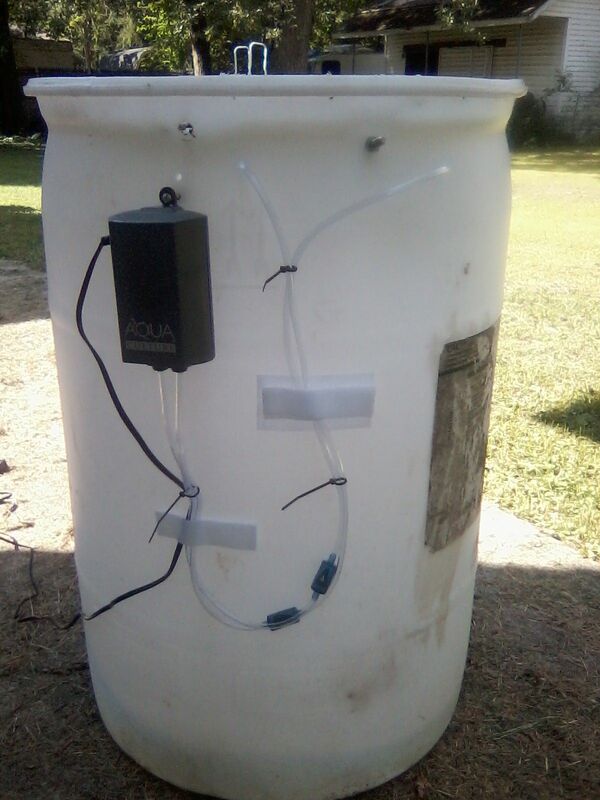 Over all this project went very well and cost just under $25 to build which is well worth it. In the near future I may add a filtration system but for now I don’t plan on keeping many minnow or chubs for too long. 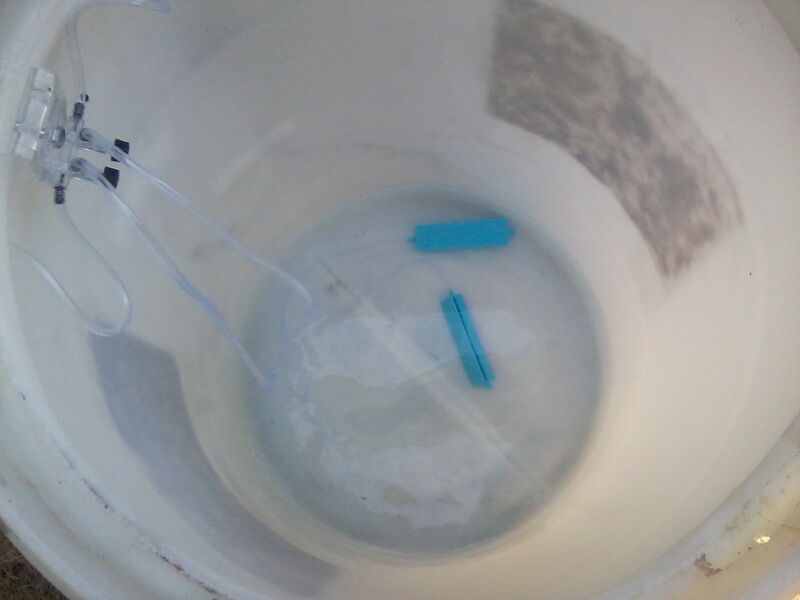 For the bait traps I just used 2 litter bottles that I had saved. 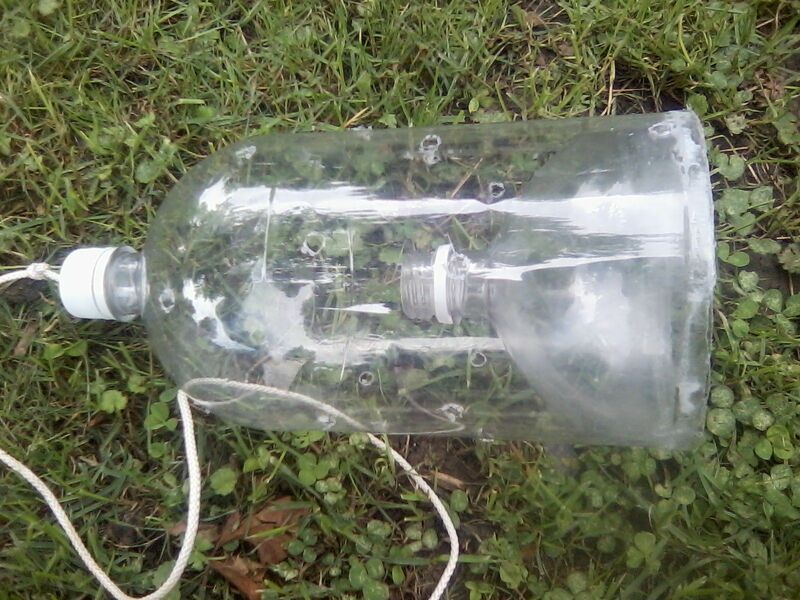 Im not going to go into detail but you can do a search for 2 liter minnow traps and find several videos on how to make them. They are probably the easiest and cheapest traps that you can make. Went down to the creek and cuaght 6 chubs the other night and put them into the live well. They are still alive and doing well but I now know Im going to need a filtration system for it. Havent decided on using a regular fish tank filter or getting a small pool filter.